43 Comments	This post may contain affiliate links. 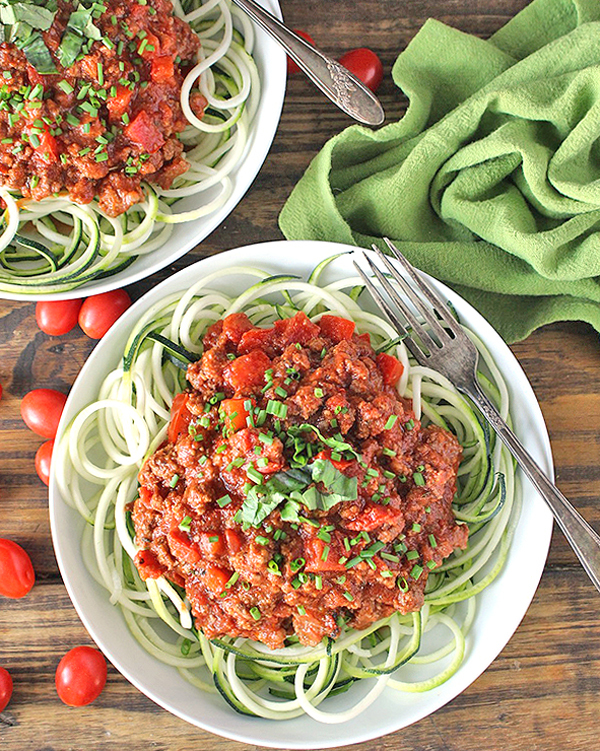 This Paleo Whole30 Spaghetti Meat Sauce is flavorful, hearty, and perfect for topping zucchini noodles. Gluten free, dairy free and low FODMAP. So this started out as american goulash. 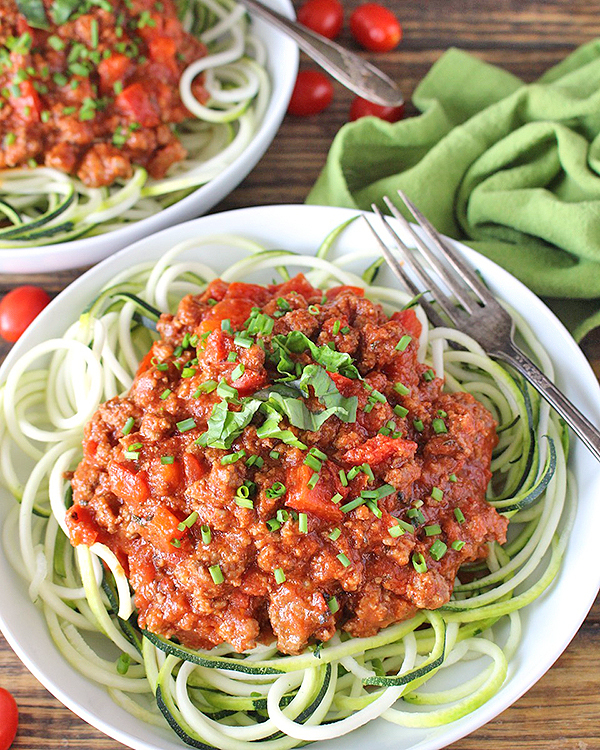 My husband wanted me to create a paleo version, which would obviously have no macaroni added, but as I was making it I realized it’s the same as spaghetti sauce. 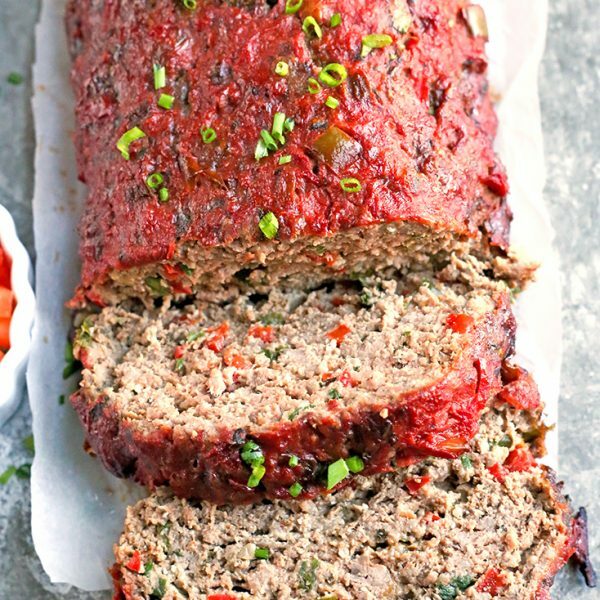 It is hearty, filled with red bell pepper, tomatoes and ground beef and it’s flavorful from the herbs and coconut aminos. 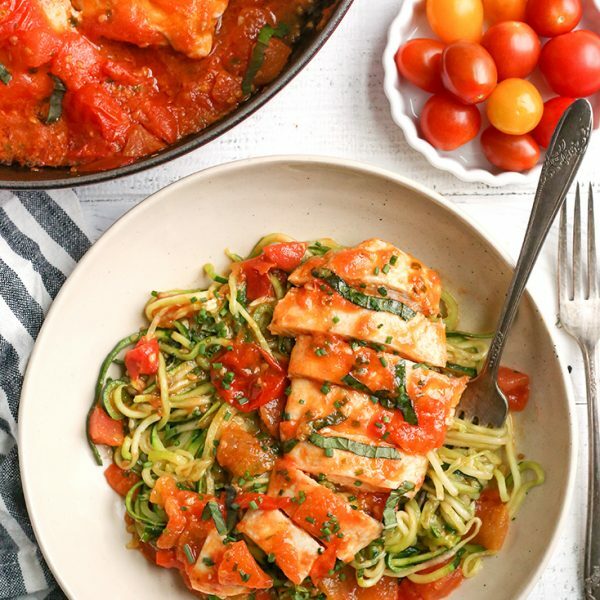 I know coconut aminos isn’t a traditional spaghetti ingredient, but it adds such a nice savoriness that pairs perfectly with the sweet tomatoes. You will love it. 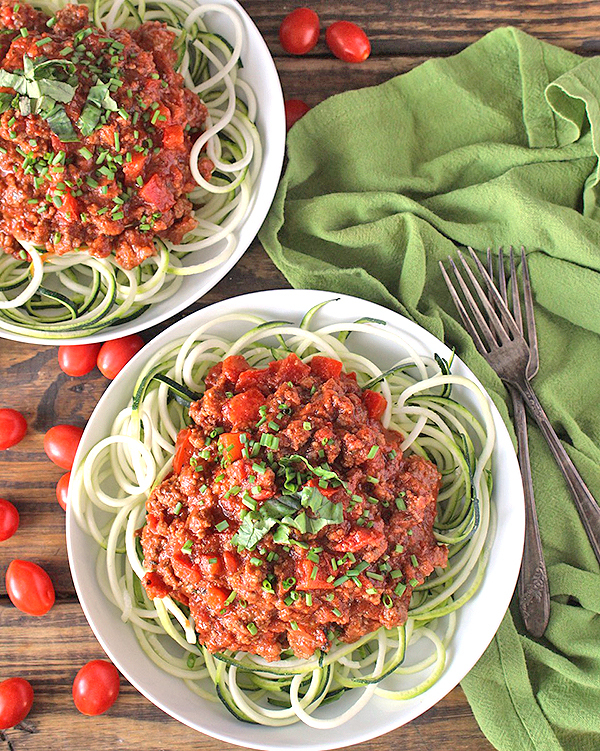 This spaghetti sauce is low FODMAP as well since my husband is still eating under those guidelines. I think it’s perfect as is, but if you’re not needing to do low FODMAP then feel free to add a chopped onion in with the red bell pepper if you’d like and use fresh garlic instead of the oil. You can also use a premixed Italian seasoning instead of all the individual ones, but the mixed ones always have onion or garlic in them so they’re off limits to us right now. This comes together quickly with only a little chopping that needs to be done. 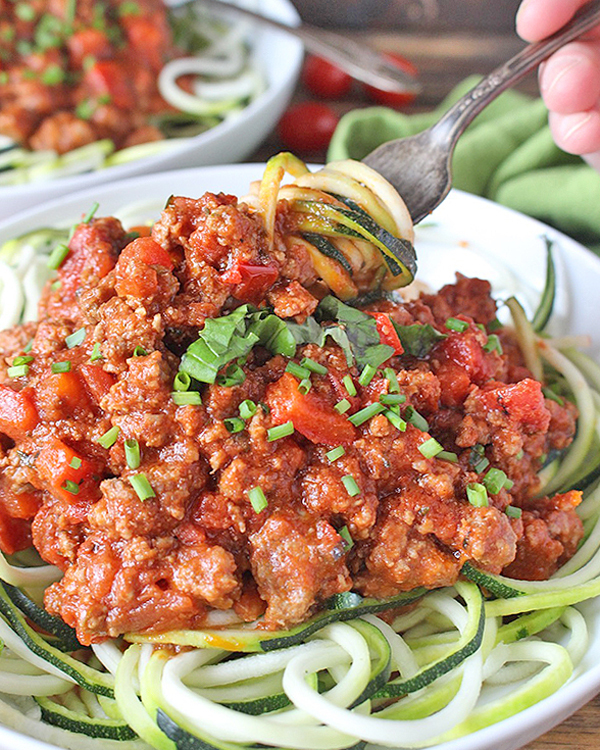 It simmers on the stove top long enough to make the zucchini noodles and everything is ready in under 30 minutes. It can definitely be cooked longer if you have the time and it will just become more flavorful. 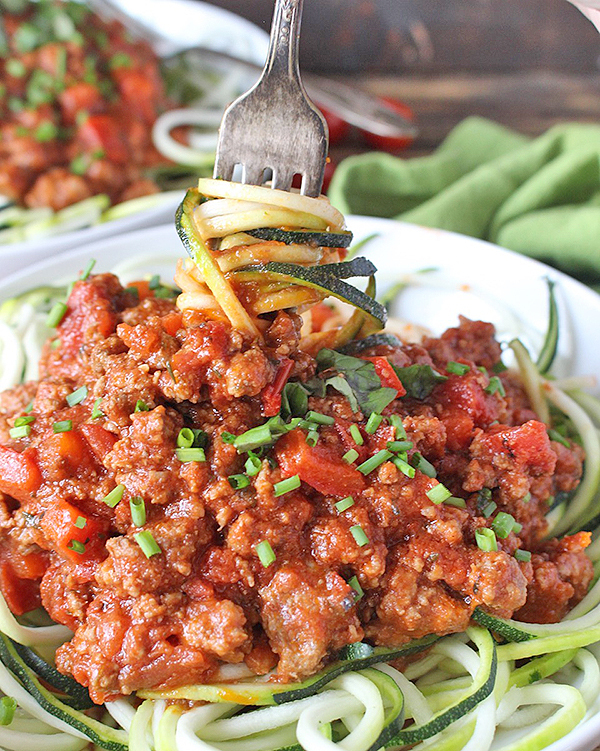 This meat sauce is great over zucchini noodles of course, but also cooked spaghetti squash (see my easy how-to here) or a baked potato. 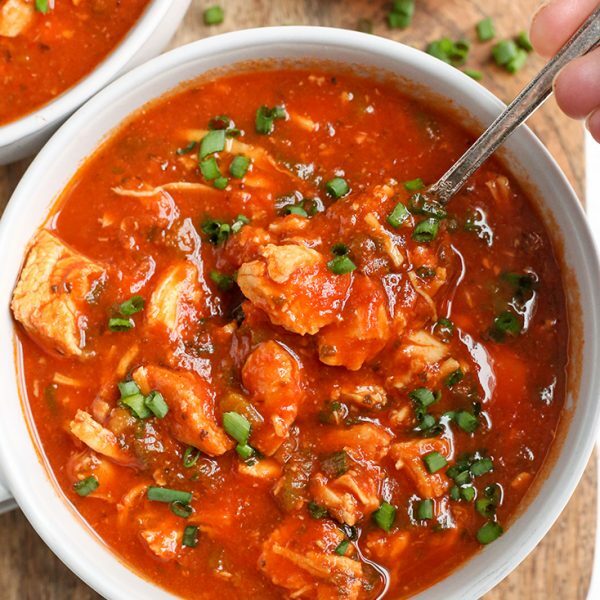 You will love how easy, quick, and delicious this sauce is. 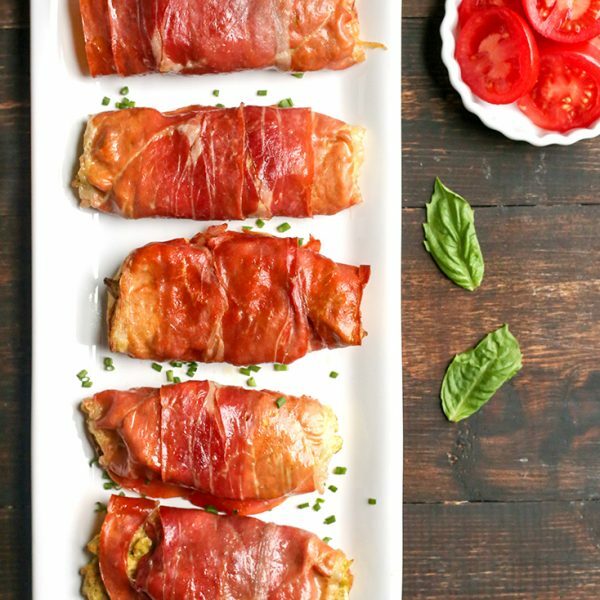 A great weeknight meal that everyone will enjoy. 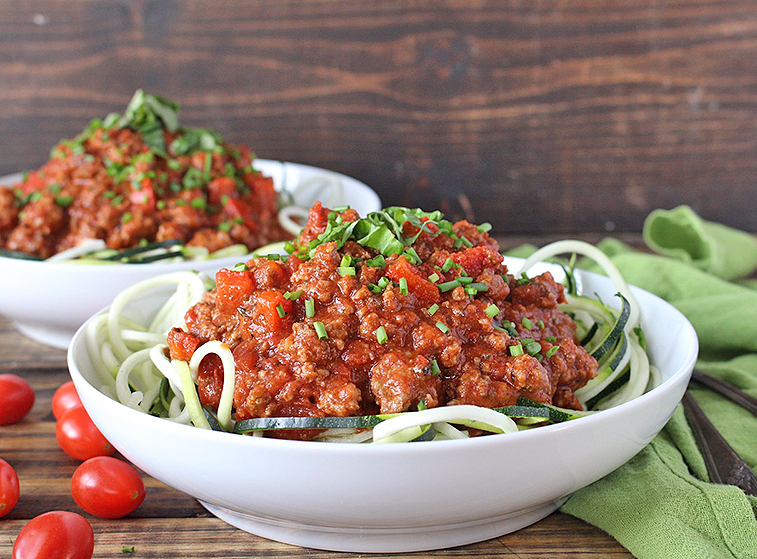 Here are a couple more ground beef recipes you’ll enjoy: Paleo Whole30 Sloppy Joes, Easy Paleo Chili, and Easy Paleo Korean Beef Bowls. Add garlic oil to a large skillet or dutch oven and turn heat to high. Add in the red bell pepper and cook until softened, stirring regularly- about 5 minutes. Add the beef and cook until browned, stirring regularly and breaking up and large chunks- about 7 minutes. Add in the tomato sauce, tomatoes, coconut aminos, and spices. Stir well and cook for 10 minutes. * If not needing low FODMAP, then use 1 tablespoon of italian seasoning to replace all these seasonings and make it easier. Love all the herbs and the hint of spice from the fire-roasted tomatoes. I used ground pork instead of beef for a different flavor. Thanks for trying it, Zoe! I’m so glad you like it!